Dedicated to producing the very finest ice cream and sorbet, il laboratorio del gelato opened in August 2002 on Orchard Street in Lower Manhattan. Several years later, they moved their store to a larger space at 188 Ludlow Street (corner of East Houston St) offering an expansive window into an open kitchen, where their frozen desserts are hand-made in small batches, ensuring the highest quality. They source the world over for flavors of purity and excellence, when possible sourcing locally and organically. 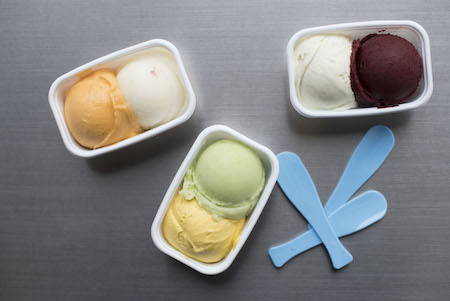 With a growing list of 300 flavors, il laboratorio del gelato was born with the idea, as their name suggests, of being a custom "lab", where chefs are encouraged and welcomed to work with them to develop unique flavors for their individual menus.